shortages on everything, evacuating their children, and killing their pets. materials, and new rules to shorten the game in case of a short air raid. 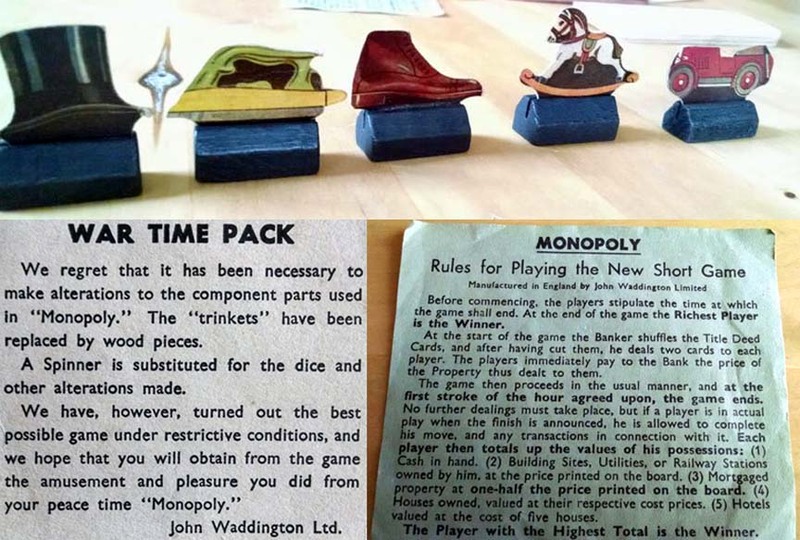 All of the currency and playing cards were printed on cheaper stock and the famous game pieces were replaced with cardboard cutout versions that were affixed to the top of pieces of wood. Even the rules were revised for quicker gameplay. A time limit? Madness! Perhaps the coolest alteration was the spinner that replaced the dice. The design is simple and effective. 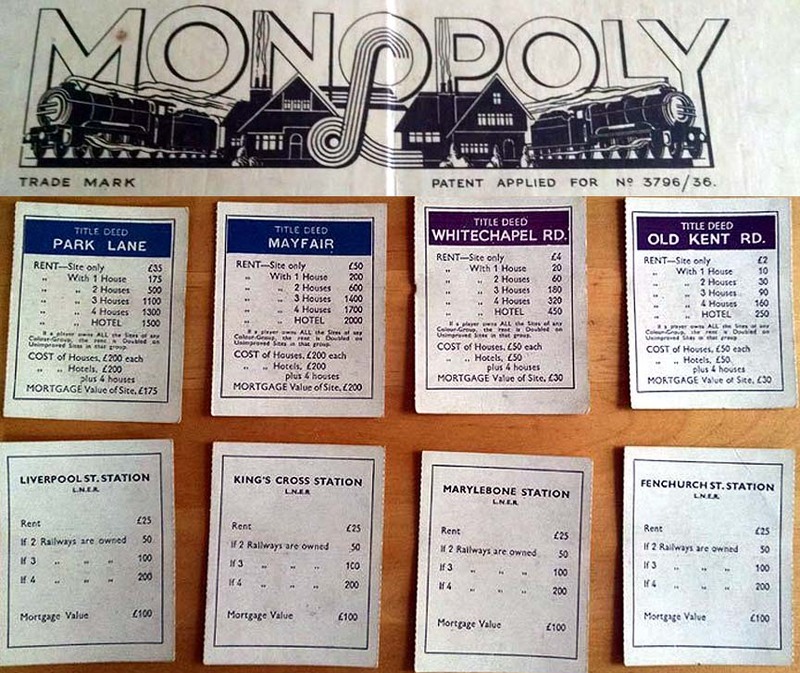 The quality of the ‘chance’ and ‘community chest’ cards were reduced and the houses and hotels were simplified. This too shall pass, have a cuppa. Most interestingly, special POW editions of the ‘War Time Pack’ were produced by John Waddington Ltd., and distributed by fake charities to try to help Allied Forces escape. Secret maps printed on cloth or silk (they don’t make noise, could get wet and be stuffed easily), escape tools and other useful information about the war were hidden inside the actual box and even the board itself. If you hadn't used up the week's ration, that is. Dad tells me that the quality of tea in WW2 wasn't 'too bad' but you were limited to 2 oz per person/week. I couldn't have survived on that! Keep boiling it, never throw any away.